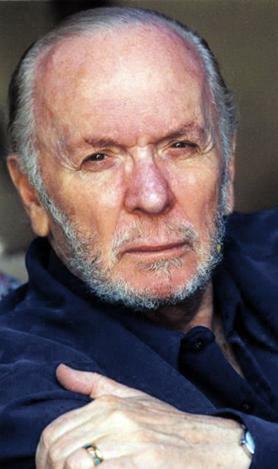 The longest-running and most successful musical in the world, Les Misérables, is celebrating 30 years of performances as its lyricist and former theatre critic Herbert Kretzmer turns 90 today. On Thursday, Kretzmer, known affectionately as ‘Mr Miz’by his friends, will be honoured at London’s Queens Theatre where a special performance of Les Misérables will be staged to benefit the Save the Children Syria Children’s Appeal. Since its inception, Les Misérables has played over 51,000 professional performances before a total audience of 70 million people and earning over €3 billion. It has been translated into 22 different languages including Japanese, Hebrew, Hungarian, Icelandic, Norwegian, German, Polish, Swedish Mexican Spanish and Korean. Productions have played in 44 countries and 349 cities, such as Japan, Israel, Hungary, Iceland, Poland, Sweden, Czech Republic, Australia, South Africa, Dominican Republic, Mauritius, Scotland, Brazil and also Malta. Over the years, it won over 125 major theatre awards, including eight Tonys and five Drama Desk awards. Kretzmer’s life was not short of spectacular either. Born in South Africa, he spent six years off and on in Paris before moving to London in 1954. From 1951 to 1987, he was a reporter, entertainment columnist, feature writer and theatre critic for the Johannesburg Sunday Express and London’s Daily Sketch, Sunday Dispatch, Daily Express (where, as senior drama critic, he covered some 2,500 first nights) and the Daily Mail, serving as the paper’s TV critic from 1979 to 1987. He has encountered, interviewed and profiled some of the 20 century’s legendary theatre, literature, show business and sports personalities, including Rex Harrison, Truman Capote, Walt Disney, Cary Grant, Henry Miller, Billy Wilder, Yul Brynner, Boris Karloff, Marlene Dietrich, Judy Garland and even Hitler’s favourite film-maker, Leni Riefenstahl, to name a few. Among other highlights of his life, he met Ernest Hemingway, ran with the bulls in Pamplona and played poker with John Houston. In 2011, he was appointed Officer of the Order of British Empire and he was appointed Chevalier of the Order of Arts and Letters by the French government. Suddenly, the song he wrote for the blockbuster film version of Les Misérables, received Golden Globe and Academy Award nominations. His other memorable songs include She and Yesterday When I was Young (both written with Charles Aznavour) and Goodness Gracious Me. In his second career as a lyricist, he wrote the musical Kristina with Benny Anderson and Bjorn Ulvaeus from ABBA, Marguerite with Les Misérables colleagues Claude-Michael Schonberg and Alain Boublil, and the film, Can Heironymus Merkin Ever Forget Mercy Humpe and Find True Happiness? with Anthony Newley. Kretzmer received both lyricist and screenwriter credits for the blockbuster film version of Les Misérables, which won the 2013 Golden Globe for best musical or comedy and was nominated for eight Academy Awards. 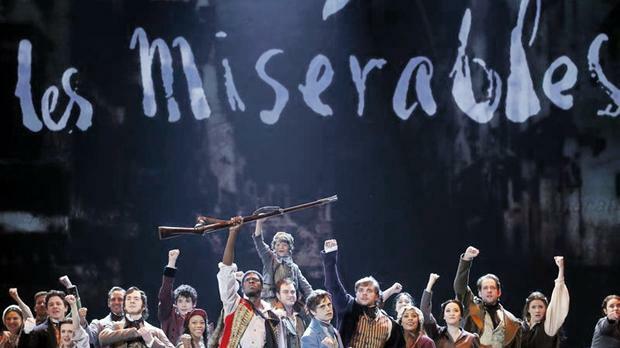 • There have been 47 cast recordings of Les Misérables, with the original Broadway cast album winning a Grammy. • There are approximately 100 cast and crew members directly involved in each performance. • Each performance requires nearly 400 complete costumes (1,780 items of clothing and 31 wigs). • Les Misérables is the fifth longest running show in Broadway history, after Phantom of the Opera, Cats, Chicago and The Lion King. • The biggest single live audience for Les Misérables to date was 125,000 at the 1989 Australia Day concert in Sydney. 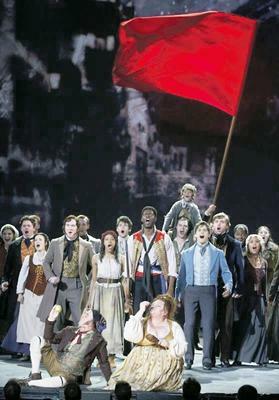 The biggest broadcast audience was when 250 Les Misérables cast members sang at the 1996 European Football Championship, televised to 400 million viewers in 197 countries.